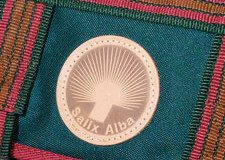 The Salix Alba company was founded in 1989. 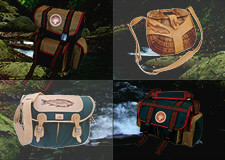 The first haversacks, bags and etuis designed were made of natural tarpaulin and leather. In 1992 the first collection was created, including a dozen of models made of synthetic fabric of the Cordura type. It was then that we presented a wicker basket with a hem and a rucksack with a thermal-insulated pocket which was awarded with the “Golden Scale” at the Angling Fair in Warsaw. 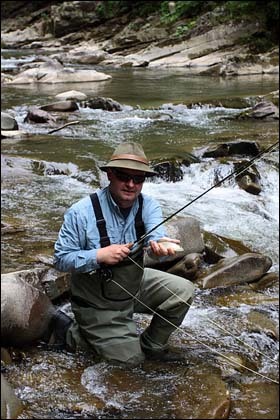 The market success of the wicker basket draw greater attention to the needs of fly and spin fishermen. New models of baskets, wobbler containers and spinning belts were designed. The application of new colour patterns, i.e. brown, green and maroon, was well received by anglers and became our “company colours”. Special attention is paid to our exquisite products made of leather as well as our wooden landing nets. Currently the Salix Alba company produces more than 30 different models used in all angling disciplines. The products offered are produced in Poland. Those having trouble purchasing our products are invited to our online shop. Since 2008 we offer services in fishing tourism based mainly on the catch & release section of the Dunajec River. We organize seven-day holiday for fly and spin fishermen by providing comfortable accommodation, excellent food, transport, permits and a tour guide. Upon request we organize individual programmes, e.g. designed for families. Apart from fishing, our education in geography allows us to offer a comprehensive presentation of the region for those interested in this field. We want everyone to try traditional meals, listen to folk music, get to know local people and their customs. We believe that it is an important part of a successful holiday event which is greatly appreciated by international fishermen. Wishing you a lot of success in fishing we invite you to take advantage of our offer.f our offer.